DAVID LE/Staff photo. 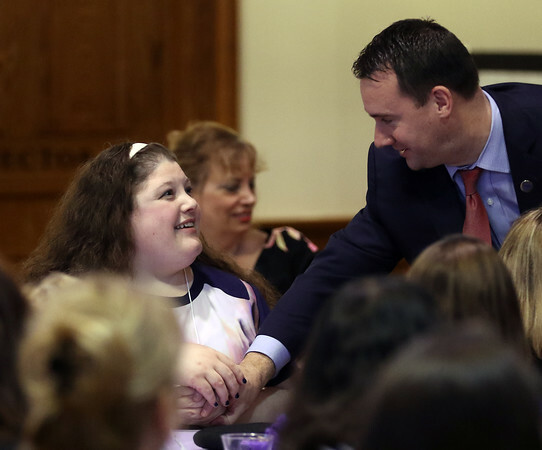 Peabody resident Kayla Bentas, left, gets congratulated and greeted by Peabody Mayor Ted Bettencourt, as she was the recipient of the Mary Upton Ferris Award given annually by the Peabody Area Chamber of Commerce on Tuesday evening. 4/12/16.